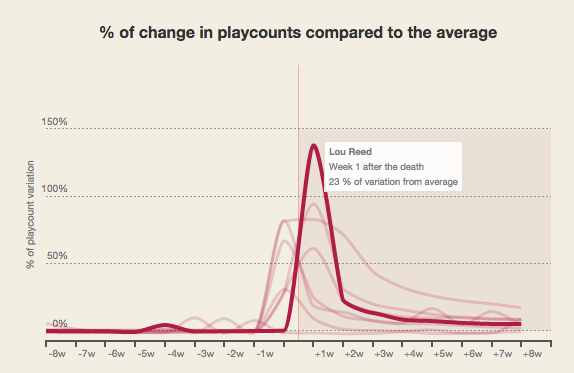 The data visualization let’s you select an artist and display what happened to his charts, showing data two months before and two months after the date of death. 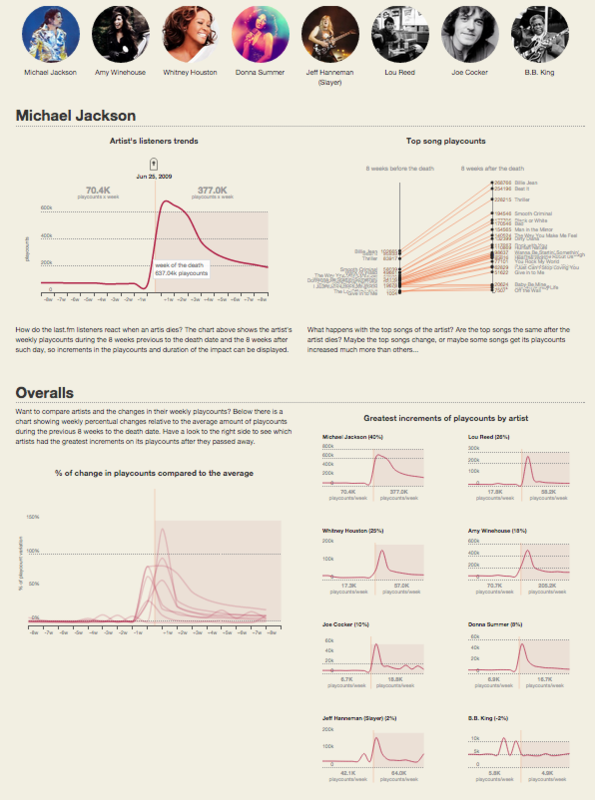 Also is interesting to display what happens to the top songs during the period of time around the date of the death. 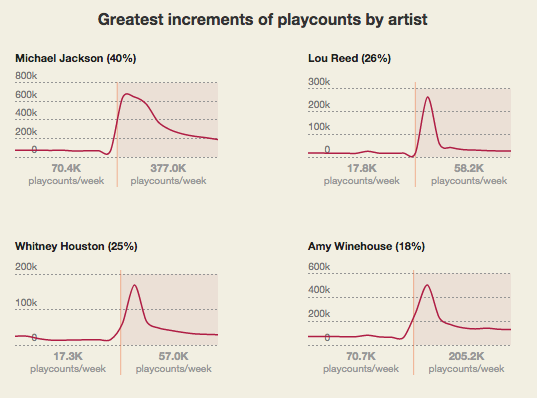 Last.fm as a social music service offers interesting possibilities to model some behaviors from its users. Let’s see if the platform offers data-driven features in the future so we can get global facts from this community.